It comes with a vast array of upgrades compared to it’s two predecessors – 1,700 variants in total across eight different body types, ensuring all customer bases are covered and all business needs are met. The extra features and advanced technology give the Sprinter a more sophisticated feel, and yet Mercedes has purposely designed it to remain instantly recognisable as one of the Mercedes-Benz family. On first sight the new Sprinter doesn’t look significantly different from the previous generation, but the headlights are in fact narrower and the grille is slightly larger. But inside, Mercedes has clearly focused their attentions on giving workers the equipment needed to make their jobs easier and less stressful. For example, the van adopts the MBUX infotainment system that premieres on the new A-Class. 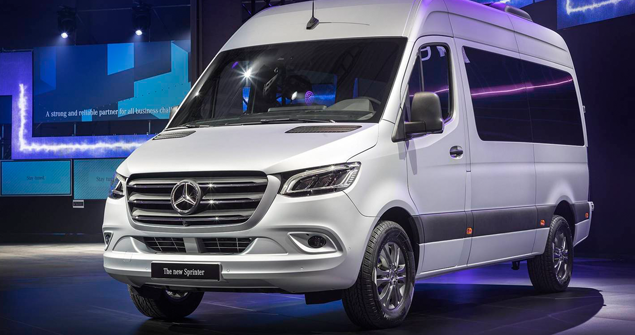 The tech includes Mercedes PRO connectivity that lets fleet managers relay assignments to vans, as well as monitoring the vehicles’ location and fuel levels. One of the major differences is the introduction of front-wheel drive (FWD). This is the first time the Sprinter has ever used a FWD system in any of its vehicles and it’s a decision that will no doubt prove popular for businesses who wish to maximise fuel efficiency. The FWD is lighter due to the fact that there is now a full length drive-shaft which increases payload by 50kg, but rear-wheel drive (RWD) and all-wheel drive (AWD) are still available for those who prefer. Reversing has also been made easier with the addition of a reverse camera, and there’s even a full 360-degree view system to simplify manoeuvring. Arguably the most important upgrade though comes in the form of air conditioning, with Mercedes assuring customers they have improved the AC system, which, I think we can all agree, is great news for those long summer days, stuck on the M25. 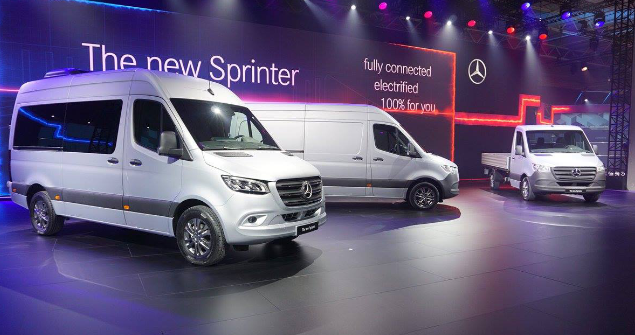 If the all-new Sprinter 2018 has peaked your interest you can order yours now from £24,350 excluding VAT. 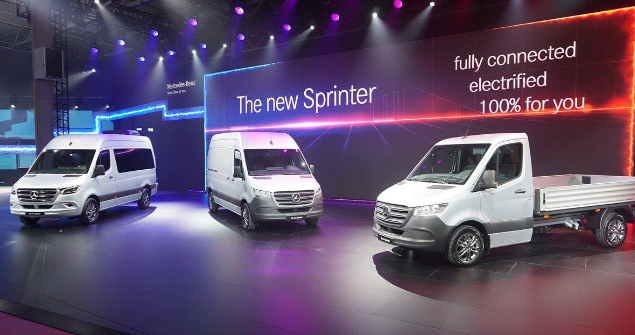 And don’t forget to keep your eyes peeled for the all-electric Sprinter available in 2019.